There are Anti-Semitic incidents in many countries. Most of them have to do with the policy of the State of Israel and not with Jews because they are Jews. The only meaningful definition of Anti-Semitism is the hatred or prejudice against Jews because they are Jews. And here starts the problem. In many countries, the so-called Anti-Semitism is a just mere critic of Israel’s brutal oppression of the Palestinian People. To call such a critic “anti-Semitic” distorts the truth and tries to distract from Israel’s immoral behavior and its human rights violations. The whole staged discussion about the “new” anti-Semitism serves only one purpose to criminalize criticism of Israel’s political behavior. For example, the BDS movement is a case in point. The protest of this civil rights movement and its call for a boycott of Israeli goods produced in illegal settlements is stigmatized as “Anti-Semitism.” Such an accusation is preposterous, but some governments have already passed anti-BDS laws stifling free speech. The Israeli government and the Zionist Lobby around the world exert huge pressure on governments to outlaw any critic of Israel by labeling it “anti-Semitic.” In fact, BDS just wants to liberate Palestine from Zionist occupation. This anti-Semitic witch hunt produces strange effects. Apparently, the US hit hardest due to the all-powerful Zionist Israel lobby. They exert not only enormous pressure on Congress but also on universities by threatening to withdraw funds. In Germany, for example, the Zionist lobby has a firm hold on the German political class. Their subservient behavior results from the Holocaust and Chancellor Merkel’s decision to define Israel’s security as part of Germany’s Raison d’état. In Germany, almost every week the political and Zionist elite make a big fuss about alleged anti-Semitic incidents. The last uproar caused by a demonstration in Berlin against Donald Trump’s decision to recognize Jerusalem as Israel’s capital. In fact, the whole of Jerusalem is still considered occupied territory according to international law. But the Trump and the Netanyahu regime give a damn about international law and the United Nations. Both governments despise them. To burn a self-made Israeli flag was considered “anti-Semitic”! But that’s not the height of folly. The incident was framed as anti-Semitic for lack of actual anti-Semitism. Voices were heard in the media and the political class, not to speak of the Zionist functionaries from the German Council of Jews in Germany calling for an “Anti-Semitism agent”. The first, who suggested this figure was no less a figure than Heribert Prantl from the daily “Sueddeutsche Zeitung,” responsible for the paper’s op-ed. This paper is also called “Prantl-Pravda”, referring to the former Soviet newspaper “Pravda”. After these massive demands by the Zionist officials, leading politicians immediately took up their orders. Nobody should surprise this obedience. Immediately the German political class jumped on the Zionist bandwagon. The Minister of Domestic Affairs, Thomas de Maizière, advocated that the new German government should install such an agent. Chancellor Merkel’s stalwart in the German Bundestag, Volker Kauder, announced that Merkel’s party would propose a motion to establish such a figure. Under the Merkel government, which is under the heel of the Zionist Israel lobby, Germany won’t be heading for a glorious future. As long as the German Council of Jews supports the Netanyahu regime absolutely, things can only get worse for Jews and non-Jews in Germany. In their unwavering support for Israel, the German Jews have no moral qualms about the immorality of the Israeli government. On the contrary, the US Zionist organizations are deeply troubled by young American Jews who “increasingly turning away from Israel,” as the Israeli daily “Haaretz” reported on 22. January, because Israel’s anti-ethical behavior is fundamentally at odds with their liberal values. Whether such a message could impress the German Jewish functionaries remains to be seen. I’m, however, skeptical. “Semite” refers to a language base that includes Arabic, Aramaic and Hebrew. Lacking a distinctive DNA the “Jews” illogically refer to themselves as a ‘race’ when the reality is simply that being a “Jew” is nothing more than being a member of a religion, or a “tribe” with several denominations and is a matter of choice and nothing more. The fact that the “Jews” who refer to themselves as the ‘chosen ones’ of a deity that they introduced to humanity in narrative fiction sometime in the late Bronze or early Iron age is nothing more than fiction itself. Indeed, the refer to a ‘deity’ that according to the narrative fiction could create the entire universe, and even the things that humanity has not discovered about it yet in only six days; but cannot seem to write his own book, much less publish it. Instead “he” left the task to human beings who when they began writing it, believed that humanity was descended from one incestuous family, that the earth was flat, and none of them had ANY idea where the Sun goes at nighttime. None of this makes the least bit of sense; but then NO religions do. 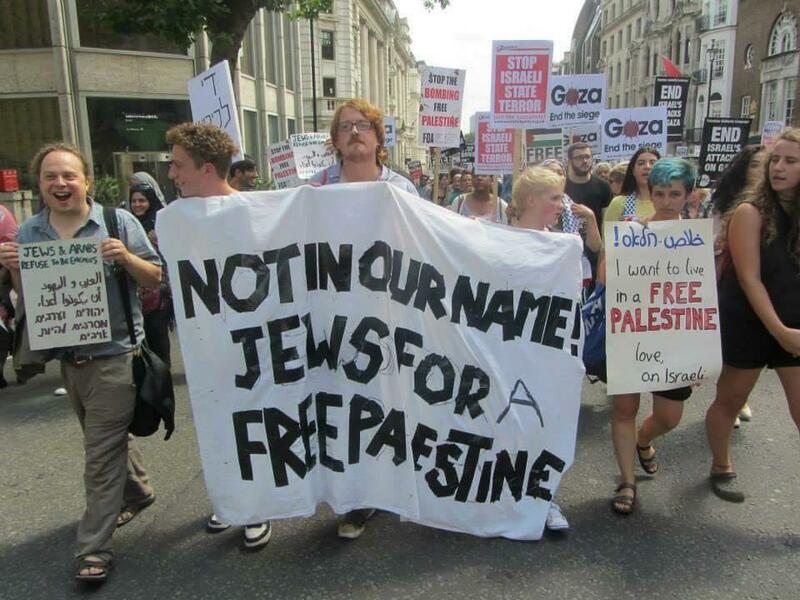 That so many are willing to give the criminal state known has the “Jewish State of Israel” so much support, in spite of its many crimes against humanity and genocide against the Palestinian people is yet one more example of obscenely ludicrous logic. As for “anti Semite” it is suggested to the “Jews of the World” that if you expect ‘respect’ for your decisions; make respectable decisions.